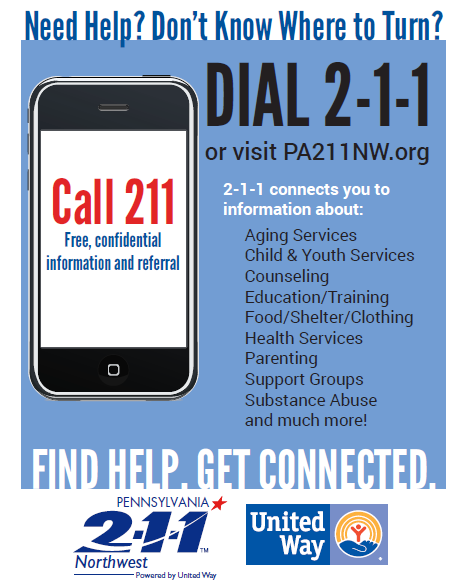 PA 2-1-1 Northwest is part of the national 2 1 1 Call Centers initiative that seeks to provide an easy-to-remember telephone number, chat, text, and a web resource for finding health and human services– for everyday needs and in crisis situations. 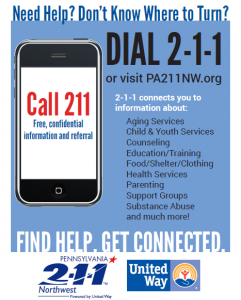 PA 2-1-1 Northwest is brought to you by a partnership among local United Way organizations, local county government, and human service providers in the Northwest region, along with PA 2-1-1, and United Way of Pennsylvania. For information on where to find child care, preschool, and other early learning programs in McKean County, click here. 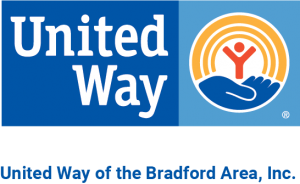 CARE for Children partnered with the Bradford Area Public Library in 2010 to offer the Parent Resource Center, a collection of childhood development, support and disability-specific resources for parents/caregivers in the local community. 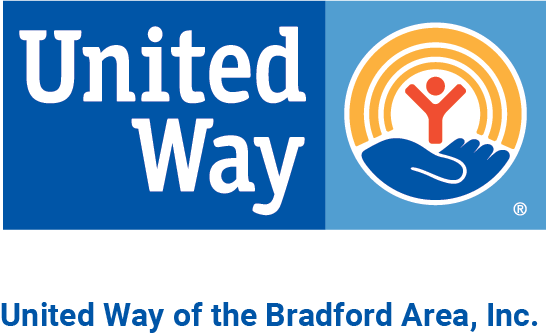 The Parent Resource Center was funded in part by a Community Innovations grant from the United Way of the Bradford Area, as well as by several donations from the Kiwanis Club of Bradford to expand CARE’s collection of disability specific resource books.